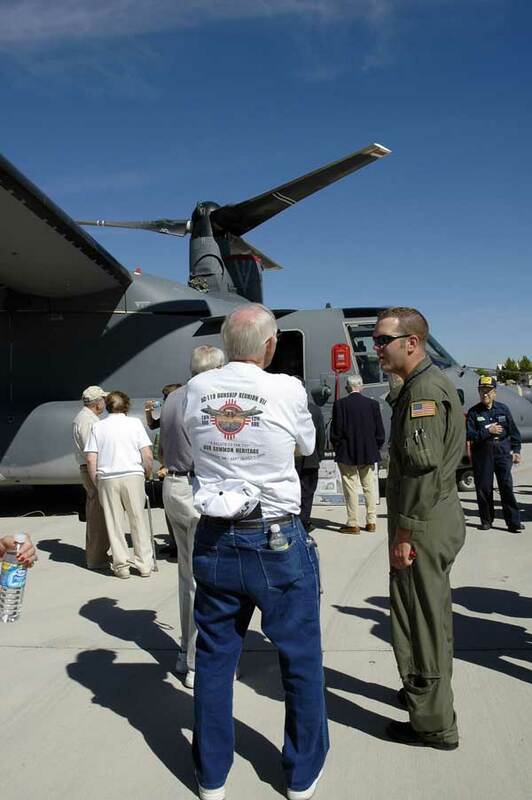 Vietnam era gunshippers pose in front of a CV-22. 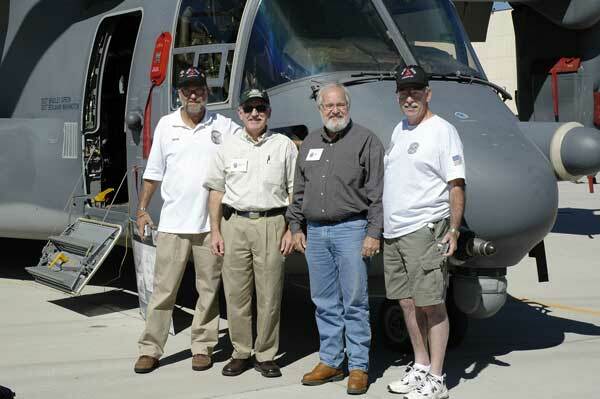 (L to R) Doug Wohlgamuth, Gunship Association Treasurer; Jim Alvis, gunship Association Secretary; Earl Wall; and Bill Petrie, Gunship Association Webmaster. 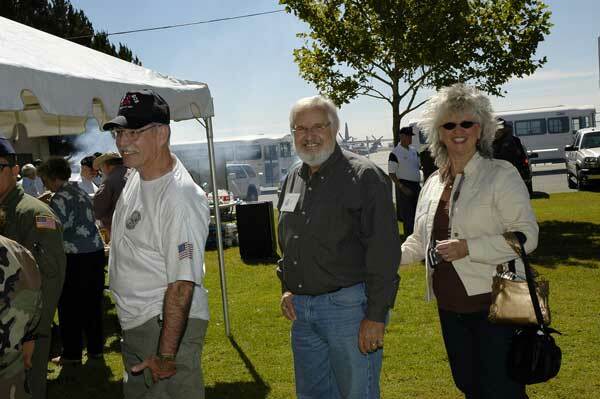 Following the viewing of the aircraft of the 58th SOW on the parking ramp, the 58th treated reunion attendees to an excellent lunch cookout. Many thanks to the 58th for their excellent hospitality. Bill Petrie and Earl and Dixie Wall are waiting for their turn in the lunch line. The weather was excellent for the cookout. 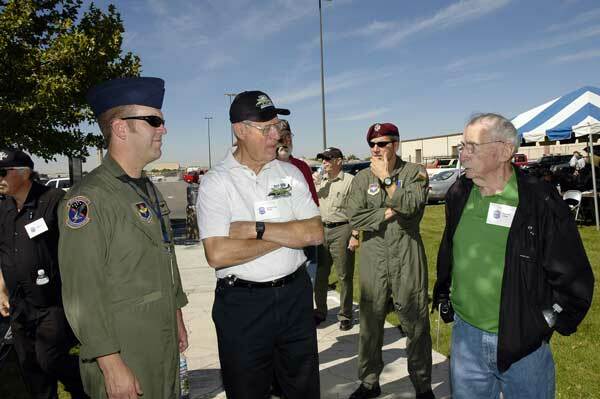 Three generations of the 71st Squadron (foreground, L to R): SSgt Darrin Kast, new 71st SOS; Al Heuss, Vietnam era 71st SOS; Marvin Litke, 71st Troop Carrier Squadron, WW II.